In order to consolidate the feedback a little better, the develop team ask testors for the three things that things they really didn’t like or felt were out of place. Here are what they hate and some suggestions. Trash System – Remove the breakage/trash system. Space is mostly at a premium and death is too harsh in that regard. Crafting – Crafting book so we can see recipes without having to be at the crafting station. When Crafting, if you have enough mats in inventory, give us a selectable slider to craft multiples of same item, like resource refinement. Also same for building and repairing buildings, one click and use all mats in inventory, instead of one click per 5 resources used. Movement – Mounts are needed, a great deal of time is spent traversing the land back and forth from house to Gatetown, to craft. So much time spent running from here to there and back again. So much time. Either Mounts, Teleportors between npc cities like Gatetown and King’s Market. Real Estate – Need more space for buildings/tents/houses. Some people are building multiple tents because there isn’t enough space to go around. If there’s going to be limited plots in safe zones for housing, these should only be available to solo players. 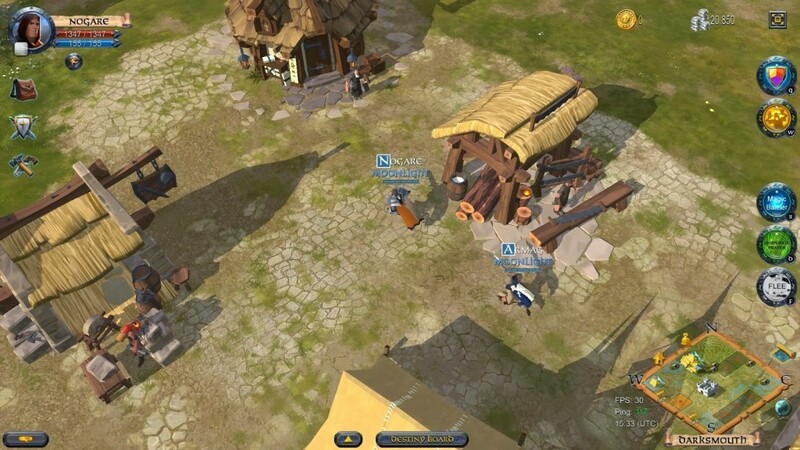 Guild – Let guilds control whole zones, fill the zones with more personal plots that a guild can rent out to the public or keep for guild use with guild protection on storage in guild claims. Once a guild gets a territory, members should only build housing there. The base plots should be redesigned allowing more buildings. Maybe make the whole area available for building. We can mine and chop trees down, why not terraform the land in base, to make housing spots available. There could be plots for sale in PvP zones, to help alleviate this problem. Combat – When you get hit enter combat as well, shorten ‘in combat’ timer or create a hotkey to switch between “fighting” mode and “gathering” mode. Automatically swapping to the correct tool for harvesting while holding your weapons would be a very nice change. Remove or reduce cooldowns in PvE/non combat. Auction Houses In PvP Areas – Availability to build Auction Houses (preferably a lot smaller than the one in King’s Market) in PvP guild plots – I think if this was implemented, a lot of PvE players would want to sell their excess armors and weapons that they make while unlocking higher tier armory and weaponry. This would let the PvP players buy their armors/weapons and go out to battle quicker. Having the auction house so far away from PvP areas will also have a negative influence on PvE players, as the demand would be lower and supply would be higher due to the fact that nobody would want to travel 4-5 or even more cluster to get there and then back. Detailed spell info with numbers. How much damage exactly does a spell do before resists. How much does spell heal for, how much does an ability buff. Create a Joystick for mobile users, enlarge buttons for tablet users. 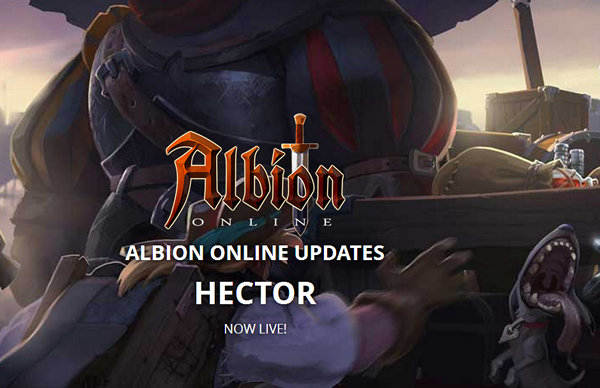 Since Albion Online presented the Hector update with a huge post of the major in-game changes on June 7. Here we’ll show you some details on the improvements of Hector in addition to the “Main Innovations Of The Hector Update“. The Farming Merchant now sells decorations for your personal and Guild islands. Check it out! A new Morgana boss has been added: The Torturer. Reduced the item power soft cap in the Yellow zone from 900 to 800 item power, and in the Safe zone from 900 to 700. The scaling factor is also somewhat stronger than it used to be. Destiny Board specialization nodes (ie the outer ring of the Destiny Board) for combat, crafting and farming have had their Fame targets doubled. Destiny Board specializations (see above) for gathering and refining have their Fame requirements per mastery level increased by between 1.01x and 2x (scaling linearly from ML0 to ML100). Changed how Premium gather yield bonus works: now gives a 100% chance of 50% bonus yield (with fractions randomized), rather than a 50% chance of 100% bonus yield. Fixed an issue where player abilities were not using the correct hit detection radius on mobs.